Unique Custom built home where your dreams CAN come true! Welcome to this impeccably done home on a double lot with panoramic views of the Cottee River. This amazing elevated home has it ALL. 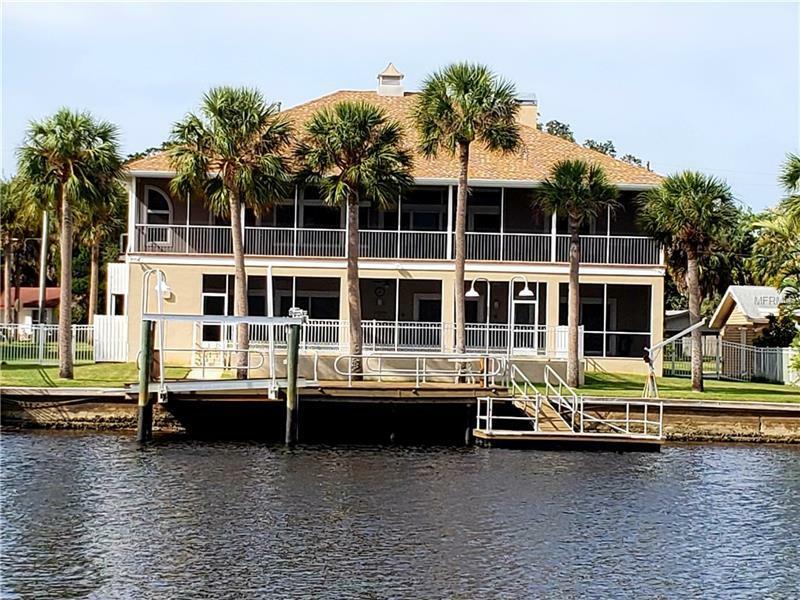 Open entryway leads you up stairs to beautiful vaulted ceiling great room with expansive fireplace wall and views of the fabulous riverfront.The well appointed eat in kitchen is a chefs dream. Top of the line stainless appliances, including gas range/oven, large refrigerator and granite counters. Formal dining is steps from kitchen and on thru sliding pocket doors to office/ 4th bedroom.One side of this upper level is the master suite which is simply awesome! Huge bedroom with open fireplace, soaker tub and bath with walk in shower, large walk in closet and double sinks. Walk out the full length sliders to a fully screened porch with views to capture and mesmerize anyone!The upper level is completed by 2 large additional bedrooms with walk in closets, 2 full baths and a full laundry room with cabinet storage and counter. This fabulous home has a lower level that is where the party begins! Huge open room to keep all the indoor toys. Pool table, game machines, card table and long bar with storage, sink and refrigerator. Separate room for the work out equipment and full bath with access to screened deck. Take a look at the outdoor kitchen to prepare all the fresh fish from your daily catch. Celebrate outdoors either in the gorgeous pool or well done stationary or floating docks with water and boat lift. Welcome Home!